Hi everyone! It's summer... the best time to scoop up those TPT deals! 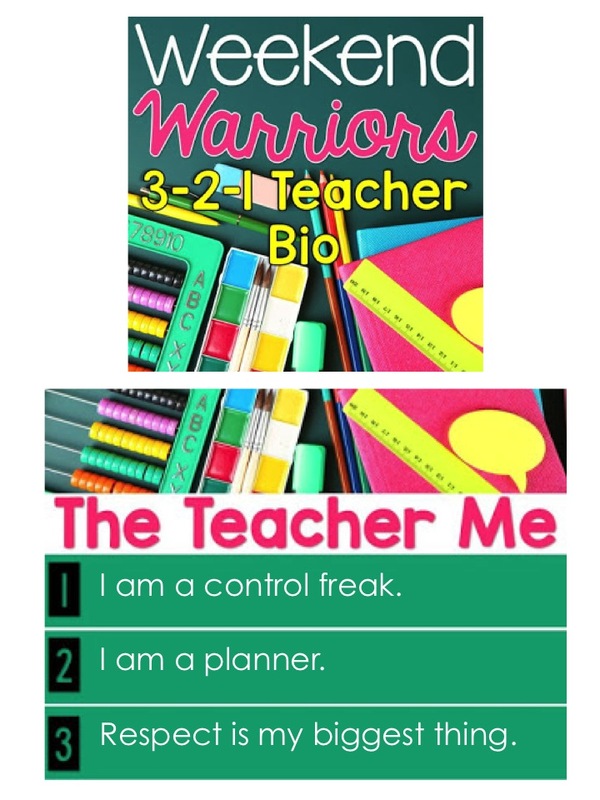 Joining up with Chalk One Up for the Teacher to share 2 products that are 50% off today only! 50% off? Yep! These 2 are my most wish listed products in my store... my Rainbow Edit pack, and my Whole Class Writing Journal bundle. What exactly are they? I shared about my Whole Class Writing Journals 3 years ago during a Monday Made It. These 40+ covers are glued onto spiral notebooks, and then students chose which journal to write in. They write their name on the top of the entry, and put the journal back into the basket for others to read and write in. 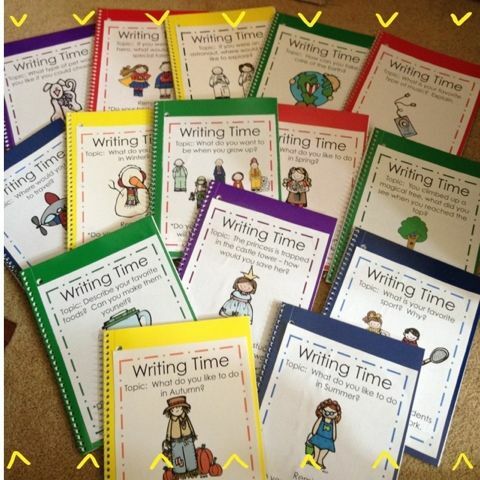 I contribute these journals to starting friendships in my classroom, as the kids share and learn about each other. 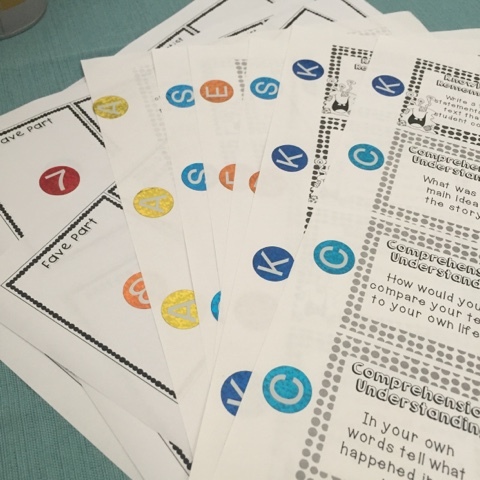 It has been a way for students to start conversations, and help the class bond together. 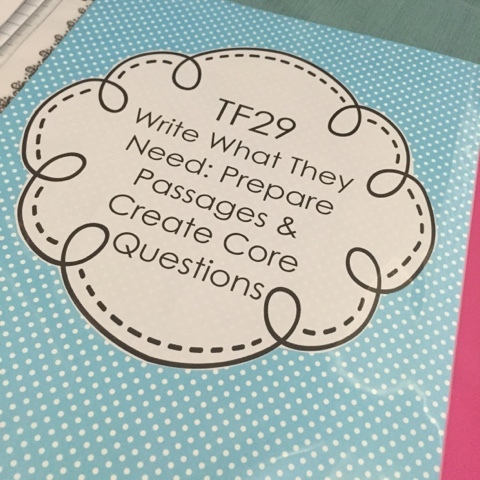 It's also a very easy activity to prep, and a very easy activity for students to complete when they are finished with their assigned tasks. 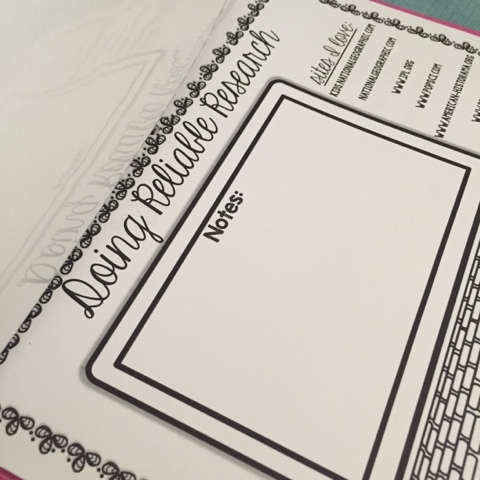 I personally have my students do these journals when they are finished with their writing assignment for the week, and it's a station/option for Work on Writing. 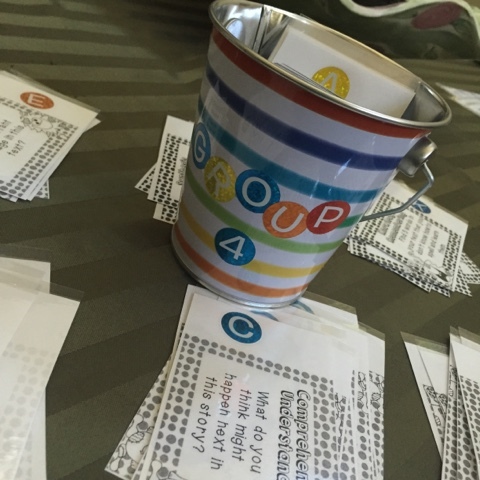 During silent reading students also have a chance to read entries and write compliments to fill buckets. An anchor chart that my class makes every August. Rainbow Edit... Oh, how I love Rainbow Edit. This is another thing that I could NOT live without. Every year my students have to complete a district writing test (we used to also have a state writing test). They have to show their comprehension of basic conventions. 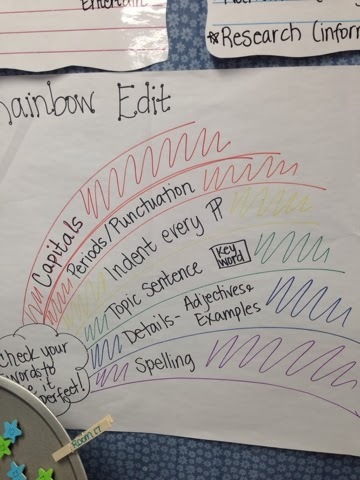 Every year in August I start teaching my kids how to Rainbow Edit, and every year they learn how to look closely at their writing. We start the year with a bunch of 1 and 2's on the rubric, and end up with 3's and 4's. Kids learn to make their rough drafts colorful, and it is amazing at the results. Both of these are 50% off today. I hope they help you! 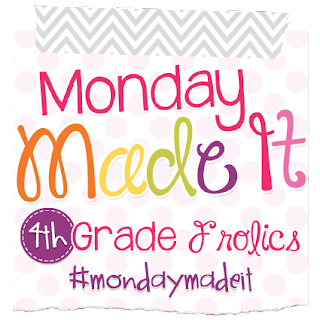 Linking up with 4th Grade Frolics for another Monday Made It. 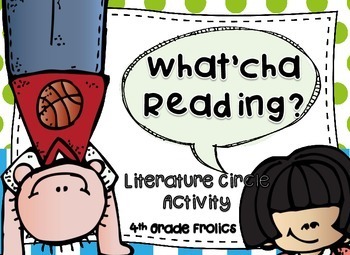 This next year I want to use Literature Groups in my classroom. We are switching up our ELA to incorporate more novels. 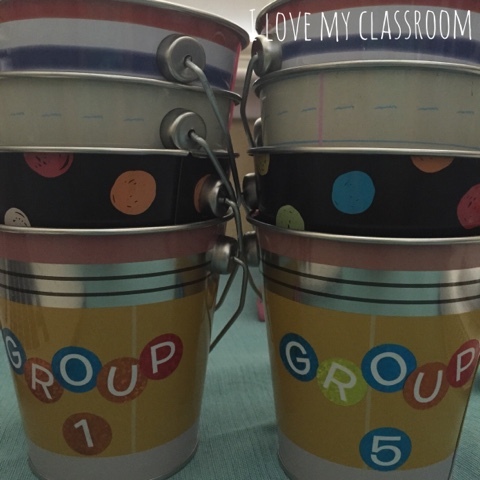 To keep everything organized I decided to grab these small pails from Target's Dollar Spot and add some alphabet stickers to the front of them. The plan is to keep them filled with everything they need for group discussions, and since I'm keeping the groups small (only 4 per group), I needed 8. 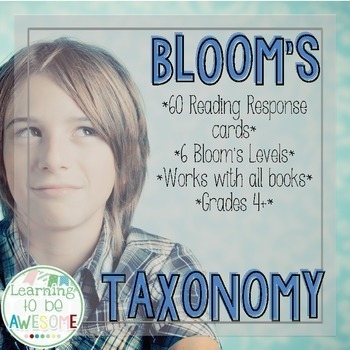 I know how much I have loved using Bloom's prompt cards as a teacher to get the discussion rolling, so I wanted to print out the cards extra small (8 per page) that my students could keep in their pails. Ink has become a huge factor, so I decided to print in BW, and add those same alphabet/number stickers to the cards. The letters stand for the type of Bloom prompt it is. 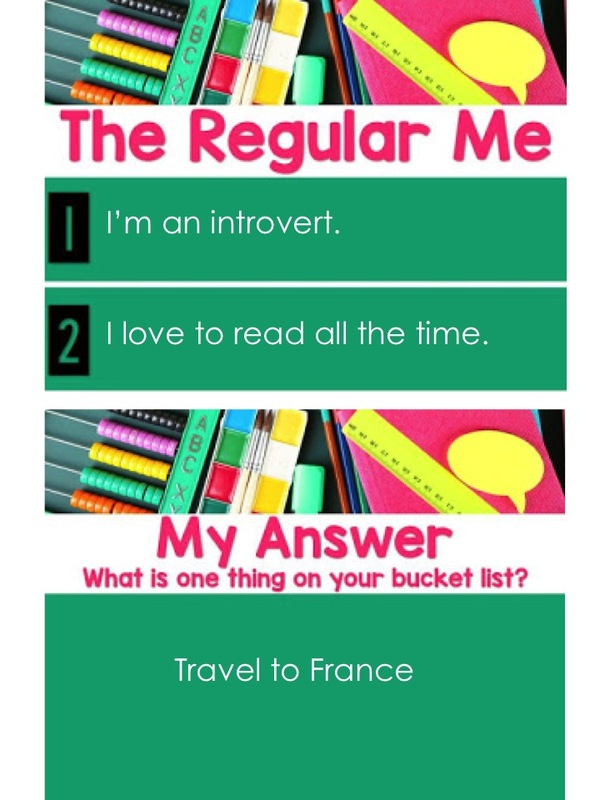 Do you use literature pails? Hope this helps someone! Pretty self explanatory... In life (not just in my classroom) I like to be in charge. I like to know what's going to happen, I don't like surprises. I like to plan out my lessons and know what the outcome will be. I will do the same thing for years if I know it works. If it doesn't, then I toss it. Respect... Yeah. If I'm talking, a student should not be talking. If another student is talking, then we are all quiet and respectful. If someone's feelings get hurt, then there needs to be an apology - even if it was an accident. If your desk is a mess, then you need to respect yourself to clean it up... you can't do your best work when you are distracted by all the clutter. We respect each other by not lying to each other, not hurting each other's feelings, maintaining a safe environment, etc. It's all about respect with me. I didn't really talk before college. I have always been super shy, and even though I like to be in control of the situation, I didn't want to take the leader role. I was afraid of hurting someone's feelings, I was super unsure about myself. College was when I really came into my own. Maybe it's because it's when I finally started taking those education classes and learning to become a teacher? Don't know... Growing up I had friends, but I LOVE to read. I was one that my family had to physically shake me to get me out of my reading induced coma. 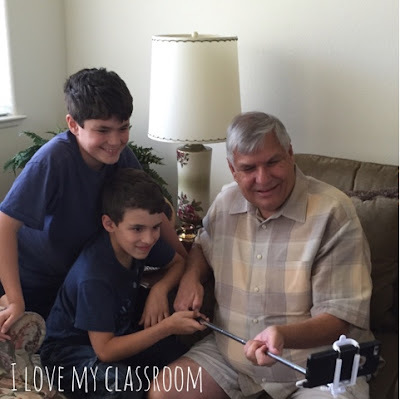 I love making the movies in my head, still do - but with 3 kids there isn't as much time during the school year. Already this summer, in the past 4 weeks, I've read 11 fiction and 1 nonfiction. Life is good when you have a book. Thanks for stopping by! What's on your bucket list? Week 4 of vacation is over... WAAAHHH! I'm having a hard time that my summer is halfway over. 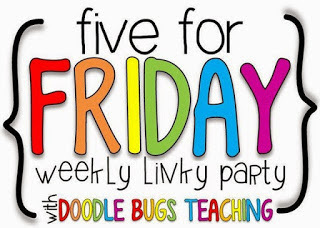 Linking up with Doodle Bugs Teaching to share 5 happy things from this past week. My entire life Dad has been the one that is behind the camera. Now he gets to be in front of it with his new selfie stick. It's the little things people! 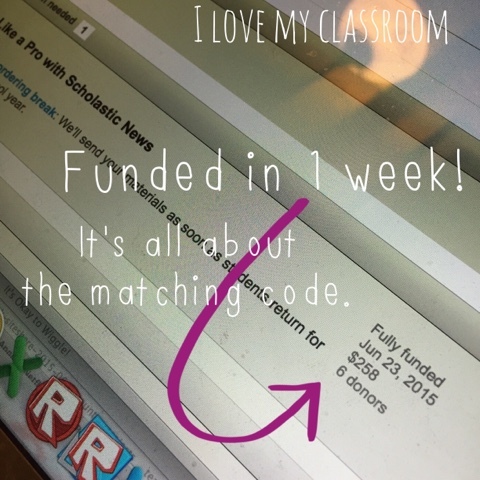 A week ago I submitted 2 projects over at Donors Choose. My Scholastic project was funded in one week. I'm so thankful! 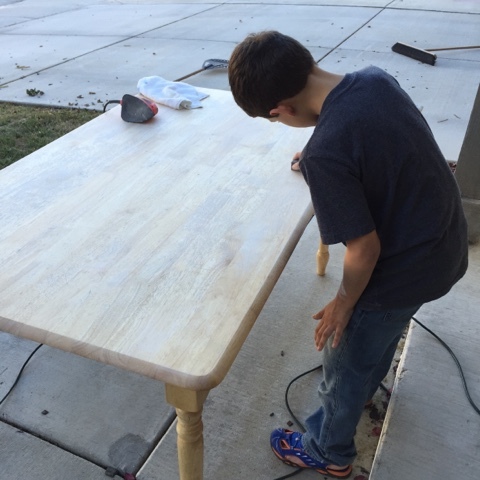 I have another project, It's Okay to Wiggle, that I still need help with. 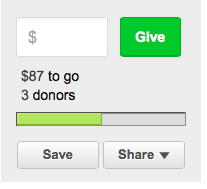 $87 to go! I'm trying to get 7 Wobble Cushions that will help my students with focus issues. Can you help? If you donate, please email me with your Donors Choose user name, and I'll send you a thank you present! I have big feet. I blame my boys for them as they grew 1/2 size during each of my pregnancies and never shrunk. 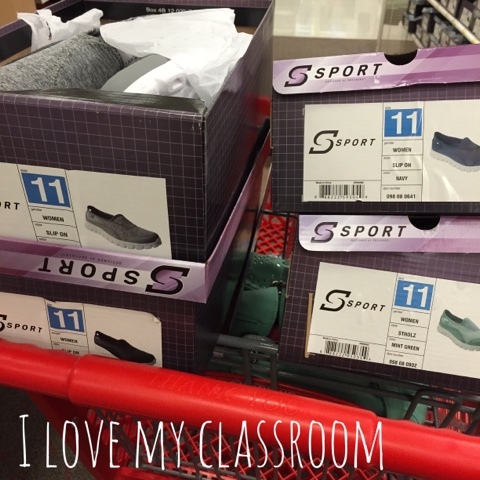 I also know that I can hardly ever find shoes in my size in the stores. So to find so many options of Sketchers Sports (most comfortable shoe ever) for 50% off, I was definitely in my happy place! I only bought 2 pair, but still!!! Our local Bowling Alley hosts Dollar Days. 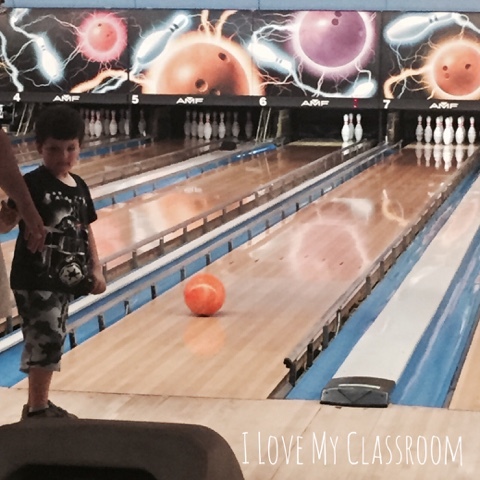 We took the boys this past Wednesday and my youngest bowled for the first time. It was absolutely hilarious. I can say that because I'm their mom, my boys really have no skills at this point in time. Someday they might join a league, but it was my family that kept the employee running down the lane to fix all the issues. 2 of them threw the ball into the gutter, even with the rails up. 2 of them also caused the ball to just completely stop on the roll down the lane - just stopped completing in the middle... It was so funny and embarrassing at the same time. I didn't know about She Reads Truth before June 1st. I'm so glad that I saw people posting pictures over on IG. It's a daily devotional, this month is all about Women of the Old Testament. I'm learning so much, many different views on the same scriptures I have read over the years. Just wanted to share if you are looking for something to read this summer. A long time ago the kids would keep their tickets and turn them into our class store (which then I would have to replace both the tickets and the prizes). I moved to rewards that didn't cost me much - My Sweet Treat Prizes (it's FREE). 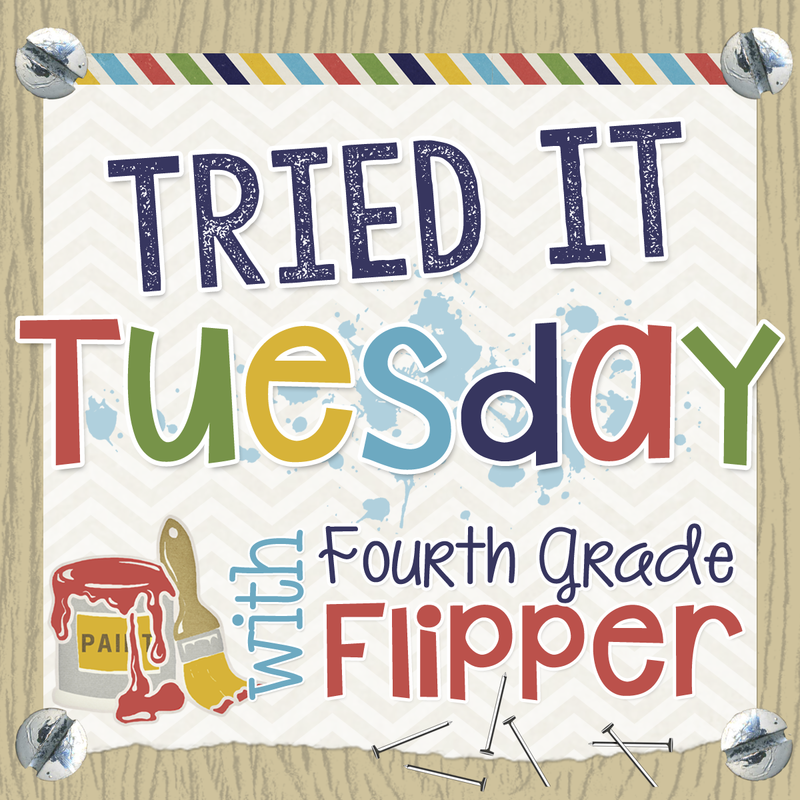 It's a collection of activities and opportunities that kids really like to win. But I was still dealing with tickets falling out of desks, or becoming lost, etc... So I switched a couple of years ago to doing a weekly raffle on Friday afternoons. 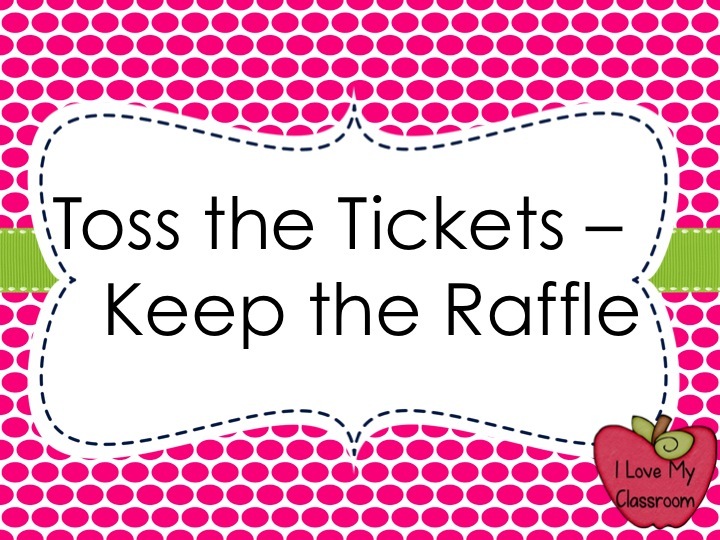 Kids won tickets, turned them into a basket with their name on the back, and I would choose 3 tickets/students to then get to choose a random prize card. 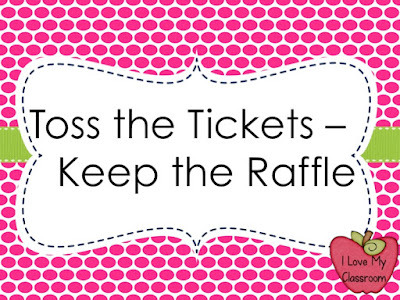 I would dump the tickets from the basket at the end of each month because honestly they are gross after the kids touch them. I don't want to buy more tickets that I will then throw away. 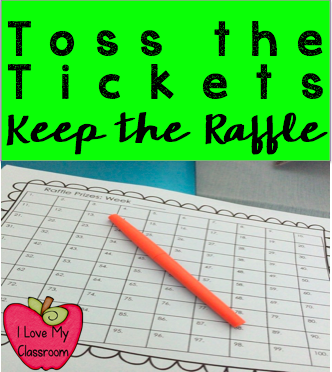 I saw a Bingo board, and started thinking about having kids choose a spot... but I need a lot of spots for the amount of tickets I give out every week. The whole point is to encourage kids to make good choices! So I made a hundreds chart that kids can choose a number and write their class number inside the square. It's big enough for initials or small names, but my class will be using their classroom numbers. I copied the set (one per week) on colored paper so I can stick it on my whiteboard and it's a constant reminder that won't blend into the background. 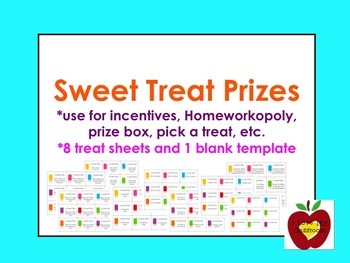 Easy classroom management tool, easy reward system, and doesn't take up a lot of room. I was thinking of making up popsicle sticks to choose the random numbers, but over on IG @starqz3 mentioned using the random number generator app. to easily choose. Less work for me! 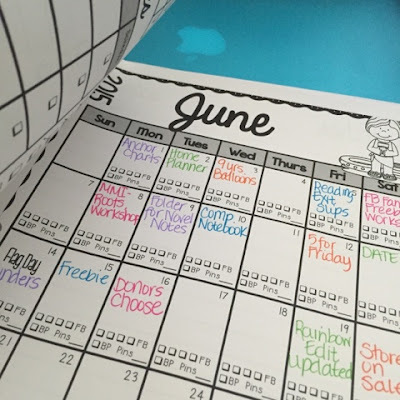 I'm linking up once again with the #TPTSellersChallenge, this week is to share (via blogging) what our dreams are regarding our stores' success. 1. I want to get out from all this debt. 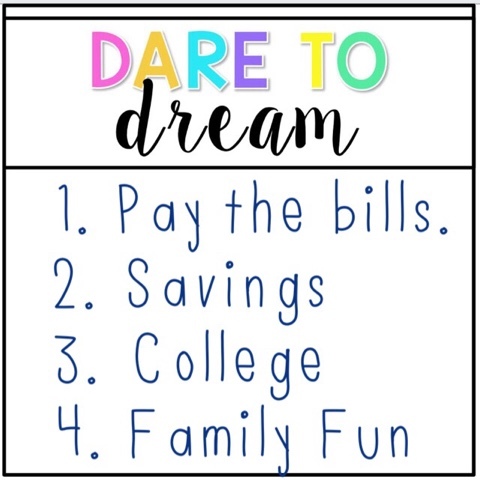 3 kids = debt. I want to not have a car payment, or a credit card payment every month. I want to not be scared of the PG&E bill in the summer months. I want to know that we will stay in the black every single month. TPT definitely helps to pay the bills every single month. 2. Savings - This was one of the main reasons I started TPTing. To pad our savings account. These days we sigh and say, "What savings?" Our rainy day fund has already run dry this summer with the need for 4 new tires and a new dryer on the first day of summer break. I want to be able to know that we will be able to retire when it's time to retire. I want to be able to know that we can help others. We'll someday build it back up. 3. College x 3 is looming toward us... at least we still have 7 years to go before we start that ride! My oldest is already 11... the past 11 years have zoomed by, and month by month we have been able to put money away in their college accounts. Hopefully we will be able to afford their textbooks when it's time! I dream that TPT will be able to help pad those accounts as well. So THANK YOU for helping my dreams to come true by all your support over on TPT. I used to become really overwhelmed with the idea of revamping an older product cover. Figuring out which paper, which frame, etc... After the winter TPT sale I decided to make it easy for myself. 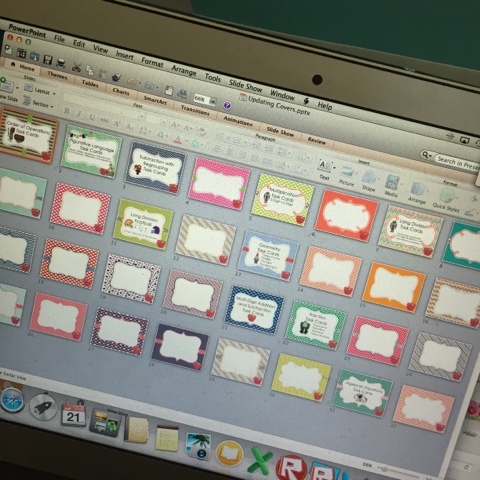 I opened up a new powerpoint and dragged some of my new digital papers over, then added some cover frames/ribbons/banners on top of them, and my store button. I didn't have a new product in mind, I didn't worry about clip art, I just focused on the background. I made tons of these backgrounds, then the powerpoint sat on my desktop for months as I was finishing up the end of the school year. This past week when I finally got the motivation to update those 2 1/2 year old products, it was super easy to scroll through the powerpoint, find which color scheme went with the clip art in my product, and drag the slide into the product powerpoint. I added the product title to the slide before I did the drag... just to keep track of which slides I was using for which product. I still have tons of covers to choose from, and then I have tons more digital options to create more when the time is right. 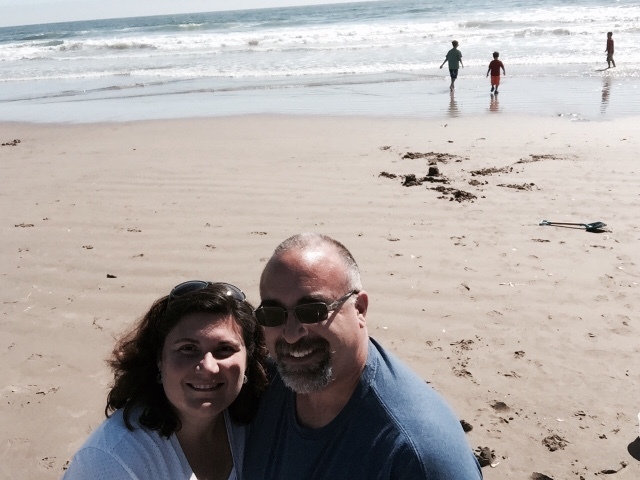 We ventured away from home over to our home away from home - Pismo Beach. Hubby had his birthday, and I got him a selfie stick. We MADE time for our family. I MADE time to take a break from the computer, breathe the sea air, stick my feet in the sand, and sit still enough to watch whales playing in the ocean. 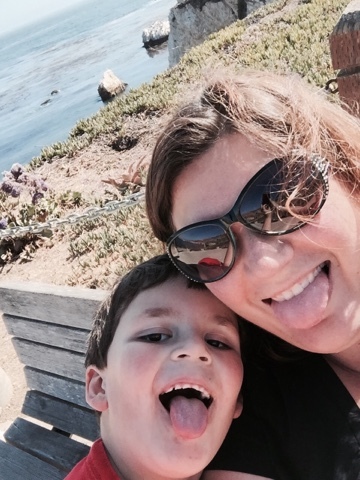 I MADE time to be goofy with my kids. 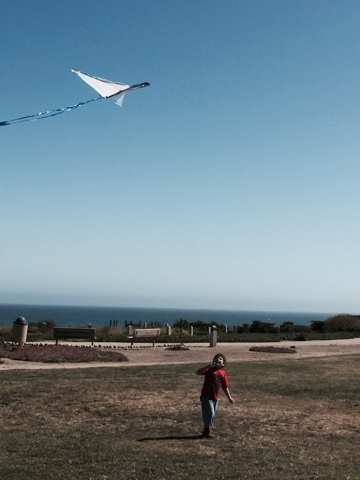 I MADE time to fly a kite. 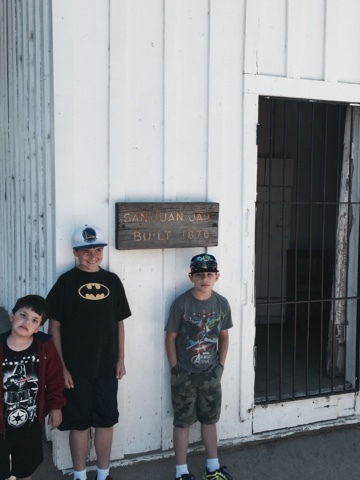 I MADE my kids visit historic buildings - missions and towns, etc... I MADE them take this picture (and a bunch of others). They love me though. <3. ... and after eating treats for the majority of the week, I MADE myself pull out my motivation jars and put them in a place to view constantly. 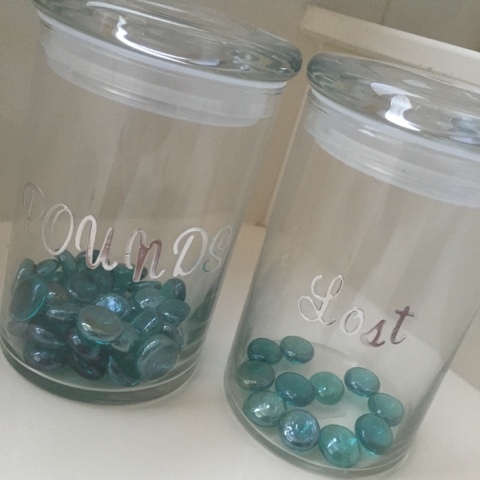 Honestly, I still need to bump the "Lost" marbles back over to the "Pounds" jar. This was a Monday Made It a couple of years ago, made with 2 glass jars and some silver alphabet stickers from Michaels. Made It #3 is all about business stuff. It's still weird to think of this little blog... (and store, FB page, IG page, Pinterest account, etc.) as a business, but since I've paid taxes on it the past 2 years I guess I need to change my mindset sooner than later. 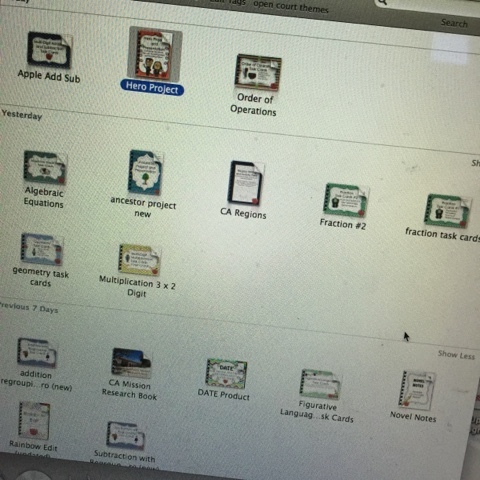 I set up my 2 binders - one for the upcoming conference and a new one for the blog/store. The conference one I used a cover frame from Lovin Lit and added information to create different dividers - one for each session I'm attending, another one for my schedule, another section for business cards, and another for activities I would like to do in Vegas. Just like last week's school binders, I cut them out, glued them onto the polkadot card stock. I also printed out all my handouts, and put them inside the binder. I'm so excited about this upcoming trip! 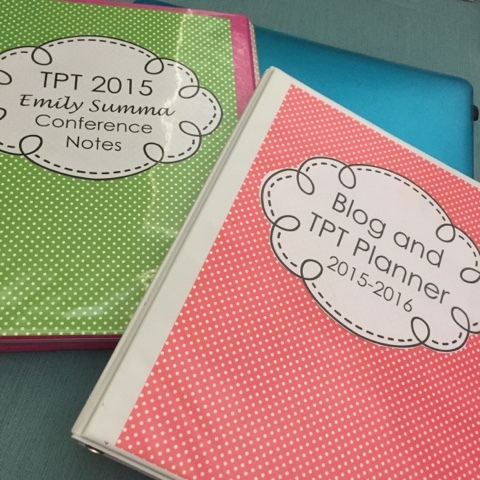 For the blog binder, I've used one for the last couple of years to hold all my TPT information, but I heard many many people sharing about the planner from Mandy. I bought the digital version and it was an easy print. LOVE all the boxes! It has already helped so much, as this past week I started in on the #TPTSellersChallenge. The goal was to update something in our TPT Stores, I started out and so far I've updated about 18 things - some with just new covers, some with extra pages, just tweaking things to make it more me. 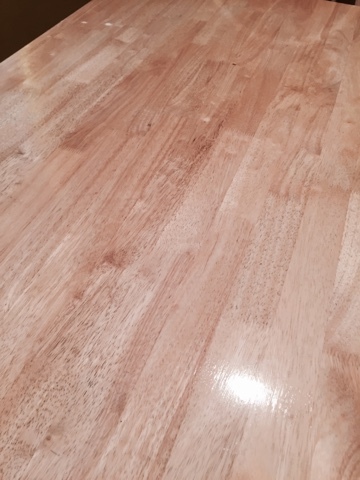 This last week we decided to refinish our kitchen table. Time wise it worked out great to do this the weekend before we left on vacation, as the varnish we bought needed at least 3 days of no touching before it could be used. We were gone, no little fingers to worry about. I'm embarrassed about how bad it was, so I didn't bother taking a before picture. So happy with the after results. 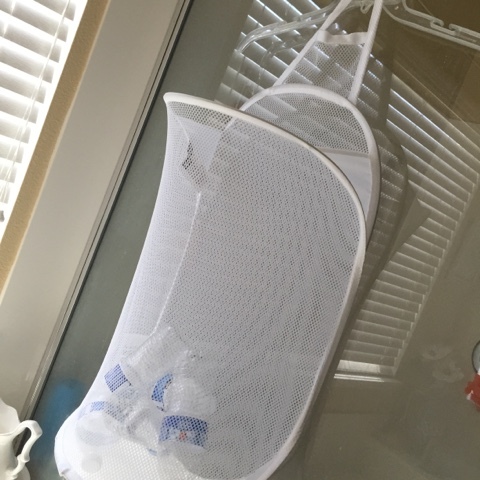 This last thing probably isn't a big deal to anyone else, but I also repurposed a hang up laundry basket for our collection of empty water bottles. It now hangs on a hanger on the outside of our shower. Easy to catch all the random bottles that end up upstairs, and easy to bring downstairs when it gets full. Okay, I'm done babbling. I hope you have a fabulous day! PS. - I'm going to apologize in case the pictures are acting all wonky. I don't know why they don't want to just line up in the middle... guess it's a Blogger issue at the moment. Have a great day! 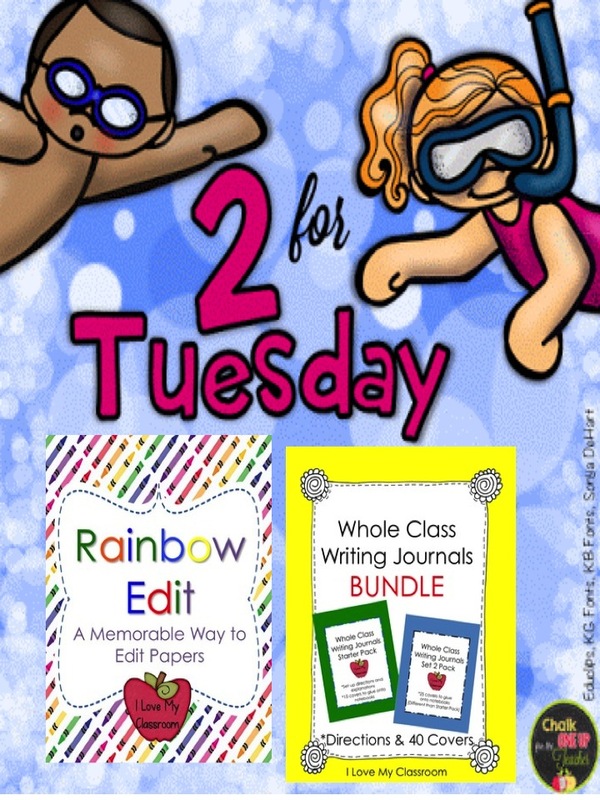 Rainbow Edit is Updated and on Sale!